On Monday, the R. Frederick Riddle Show took a serious look at three recent Supreme Court decisions: Recess Appointments, Buffer Zones and the Hobby Lobby case. PORT CHARLOTTE, Fla. - July 1, 2014 - PRLog -- Just hours before the R. Frederick Riddle Show (http://www.blogtalkradio.com/riddletalkradio) went on the air the Supreme Court ruled in favor of Hobby Lobby. This is a stupendous victory for religious rights! Actually the Obama Administration had three issues before the Court and all three were defeats. As a result the Constitution was reaffirmed by the Court, Right to Life won the right to picket abortion clinics, and Hobby Lobby/Conestoga won the right to run their businesses according to their religious beliefs. Mr. Riddle covered these cases as well as a look at Independence Day. Mr. Riddle is a Christian author, blogger, and talk radio host, who provides a one-stop resource for his books, and blog (RFrederickRiddle.com). 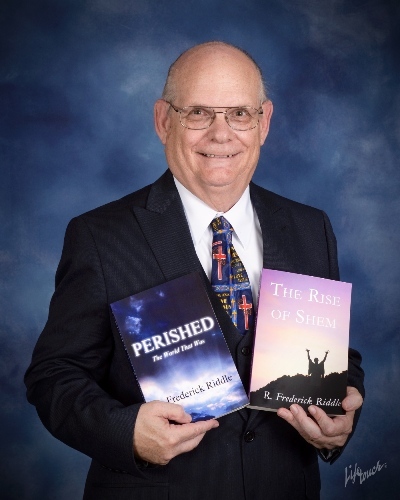 He is known for his Christian fictions books and for his Blog Talk Radio program R Frederick Riddle Talk Show. His books bring to life Biblical characters and events, while his show explores the modern world's news and events from a Christian point of view.